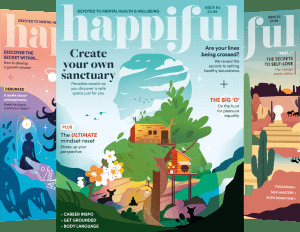 Exploring the benefits of couples counselling and how couples can work through destructive behaviour towards a happier relationship. It’s common that most relationships will experience a time of uncertainty and confusion. Couples may look at each other and think, “You are just not who I thought you were,” or, “Why on earth did I end up with you?” All these doubts and anxieties in a relationship can lead to couples feeling very alone and fearful about their future together. Some times at this point they may decide to embark on an affair or take up a new hobby or pastime that creates distance between them and their partner. However they could also seek support from a couples therapist. Coming into couple counselling at this stage of the relationship could enable them to discover a different way of being together. As human beings, partnerships have a life/death cycle, which evolves about every seven years. And like all living things, relationships will also be subject to ‘disease’ and ill health. At this point a third party may help the couple to examine the dynamic they create. We naturally all have a longing to be close and intimate with another person and yet it can seem a very frightening thing to achieve and maintain. Yet the desire is a powerful one and we may go from relationship to relationship in our search for that special person. Firstly, unlike one to one counselling it is the relationship that is the client not the individuals. The couple are now moving into a new phase, the old way of being together is gone. There may be a longing to return to an earlier stage of the relationship when things seemed to be idyllic. It is usually very painful to accept that this is not possible as with other aspects of life, going backwards is rarely a healthy option. As with all endings there needs to be a period of mourning and grieving, in this instance for the loss of the old relationship. Counselling can facilitate this process by offering a safe environment to explore feelings around the issues which have brought the couple to this stage. Most importantly perhaps, counselling can enable a couple to understand the dynamic of the relationship they have created between them. This can be a very enlightening experience but also very painful as blaming the other person for recurring issues is much easier than owning our own part in what we create. Attending sessions hoping that the counsellor will ‘sort out’ our partner or do all the work on the relationship will lead to disappointment. 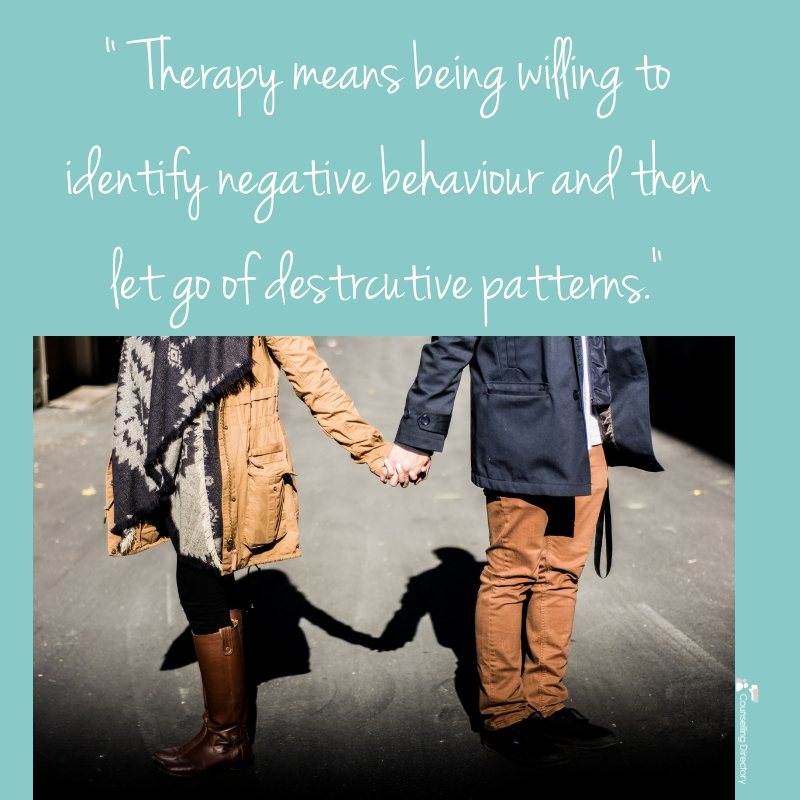 Therapy means being willing to identify negative behaviour and then let go of destructive patterns. For example the need to be right in relationship is one of its most damaging behaviours and may also be the most difficult to give up. Recognising patterns of repeated areas of conflict can help us understand the triggers that ignite them and thereby manage the resulting feelings of blame and shame. Those seeking couples counselling may do so only when they reach a crisis point. Some examples are when one or other of them has taken their energy and focus out of the relationship; maybe had an affair or a new baby has arrived. Whatever triggers a couple to seek help, in order to gain the most from couples counselling they need to have a willingness and commitment to do the hard work needed in relationship. Success in any aspect of life involves both of these. Relationships are no different. By understanding what makes us fall in and then out of love with our partner we are more able to manage the pitfalls and emotions of relationship. Gaining an awareness of ourselves in relation to the other person and having insight into our behaviour and how it impacts your partner can help identify the feelings which lead to conflict. Conversely those couples who avoid conflict all-together may lack any passion or aliveness in their dynamic and feel very low. The relationship may have more of a sibling quality or even parent/child type interactions. As a contextual couples counsellor I work with whatever the couple bring, in the context of their relationship. I try not to have preconceived ideas about how things should be between them. I work with what is. They may be looking to work through a difficult time in their lives or wanting to separate. My role is to facilitate their needs, to support their coupledom and offer a safe and confidential space to reveal itself. I like to start by congratulating them on being there, because they are on the threshold of something different. It is exciting and scary as all change can be, but it is so energising too if we can trust our partners, the counsellor and ourselves!